S-adenosyl-L-methionine-dependent protein-lysine N-methyltransferase that methylates elongation factor 1-alpha. 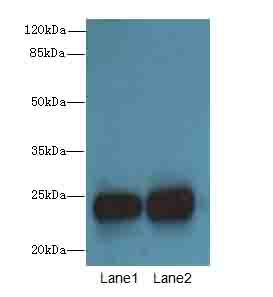 N6AMT2 Polyclonal Antibody. Unconjugated. Raised in: Rabbit.